As usual, it’s been a very busy few weeks and I haven’t had much time to write down all the exciting things I’ve done. But the past couple of weeks has been too important and monumental for me, and I want to share my thoughts with you all. As I like to say to my friends, “better late than never!”. I flew into Guangzhou on Sunday evening for a quick performance at the MarySharon X Bazaar Red Hot Concert at the Guangzhou Sports Stadium. I initially thought I might not be able to make it because the weather had been terrible with heavy torrential rain, and we didn’t know if we could land in Guangzhou. Luckily, I made it on time. After singing one song “Sincere Hero” (Zhen Xin Ying Xiong), I had to quickly rush back to the airport and fly to Shanghai for the International Shanghai Film Festival Forum. By the time I arrived in Shanghai, it was already past midnight. 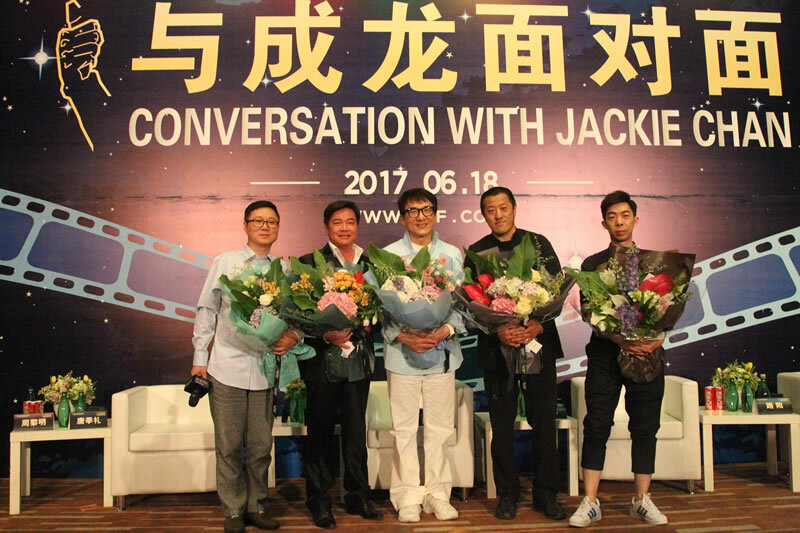 The next day, I first attended the ‘Conversation with Jackie Chan’ event for my 2017 Jackie Chan Action Week, which is part of the Shanghai International Film Festival. Also at the event were director Stanley Tong and director Ding Sheng. We answered many questions from the audience and discussed some meaningful topics. Straight after the event, I went back to the hotel for a meeting, and then in the evening, I attended another event called the ‘China Movie Channel Night’. 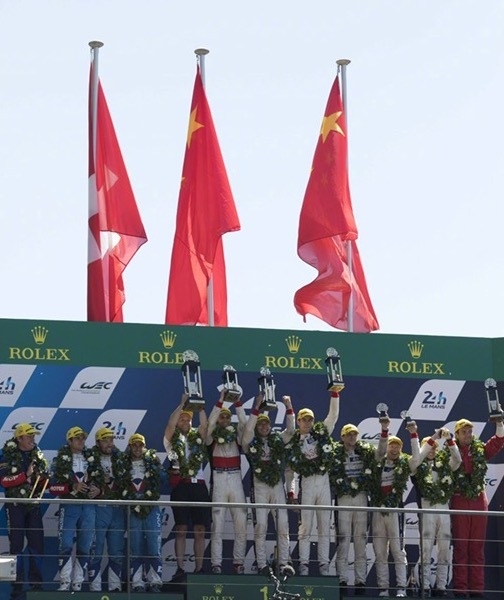 I also received a very pleasant surprise with some very exciting news – my Jackie Chan DC racing Oreca team won at the LMP2 race in the Le Mans 24 Hour Endurance Race, claiming first and second place overall. Congratulations! I look forward to celebrating with you on your victorious return home. 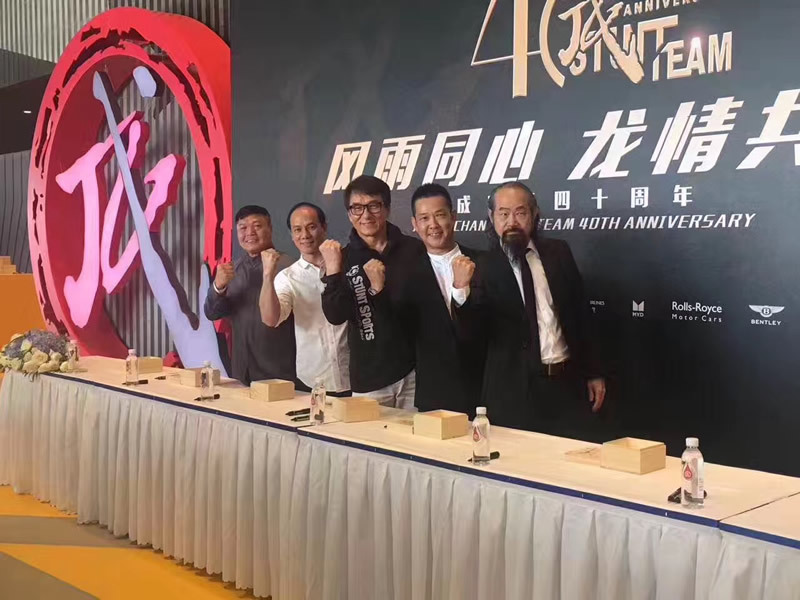 After a busy day in Shanghai, I travelled back to Beijing on the 19th of June and prepared for my next big event, the JC Stunt Team 40th Anniversary! I never imagined that my JC Stunt Team has lasted 40 years already. To mark the special occasion, I invited all my JC Stunt Team members from all over the world, from the 1st generation to the 8th generation; I invited their family as well to come join our monumental celebrations. Since the JC Stunt Team established in 1976 till now, there are now over 70 members. 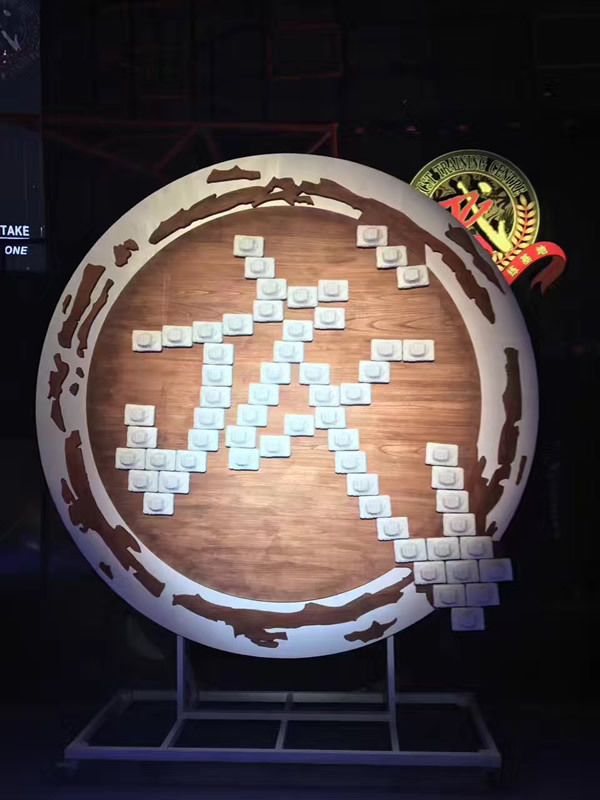 On June 20th, the JC Stunt Team 40th Anniversary Celebration was held at my JC Stunt Team Training Base in Tianjin. 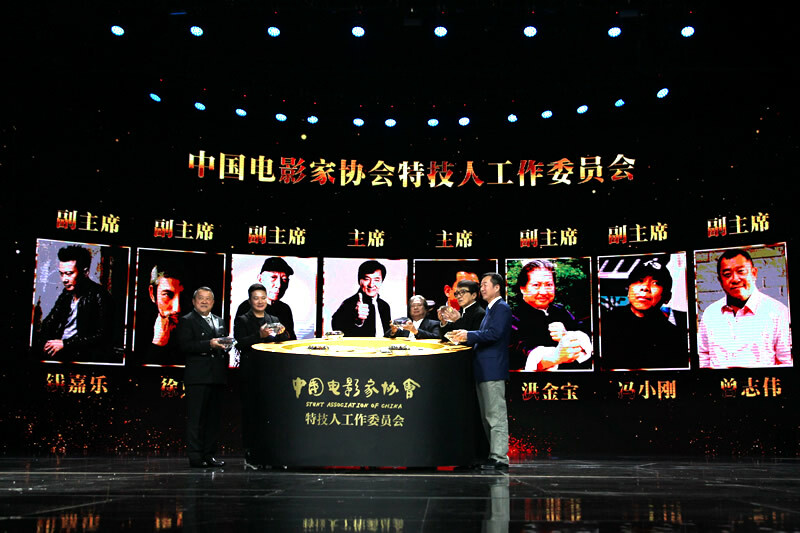 I was so happy to see my close friends Eric Tsang, Yuen Biao, Yuen Wah, Stanley Tong, and Tsui Siu Ming. Before the event started, Eric Tsang said to me, “Remember to bring some tissues!” I said to him, I won’t cry again this time because my wife already told me that I look terrible when I cry on tv. The press conference started at 3:00pm and we all greeted the media with a simple yet monumental fist molding ceremony where all the guests and JC Stunt Team members casted an impression of their own fist in plasticine. After the press conference, celebrations started with some performances from future JC Stunt Team candidates. I was so proud and overjoyed when I saw all the JC Stunt Team members being introduced on stage, from the first generation down to the eighth generation. 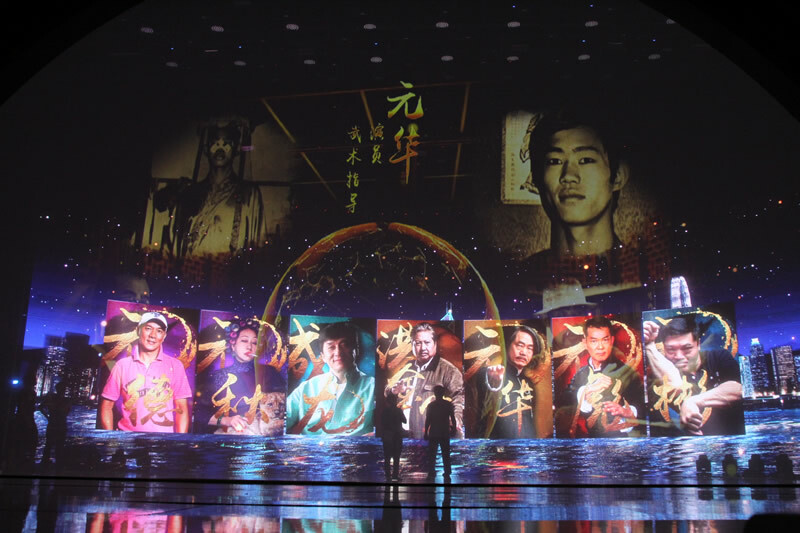 But once again, I was moved to tears when I saw images of my five brothers who have passed away: Fung Hark-On (馮克安), Chow Yun-Kin (周潤堅), Han Chun (韓春), Sham Chin-Bo (岑潛波), Ailen Sit Chun-Wai (薛春煒). It was such an emotional moment and I seriously couldn’t hold back my tears. (Actually, Eric Tsang cried more than me!) I still have so many things that I want to say to my brothers, but words cannot describe all the things I want to express in my heart. I just hope that my JC Stunt Team will continue on for 50, 60, or 70 years. Even if I’m not here, I hope the spirit of the JC Stunt Team with continue to live forever! My dearest brothers, meeting you in my lifetime is the best thing that has ever happened. 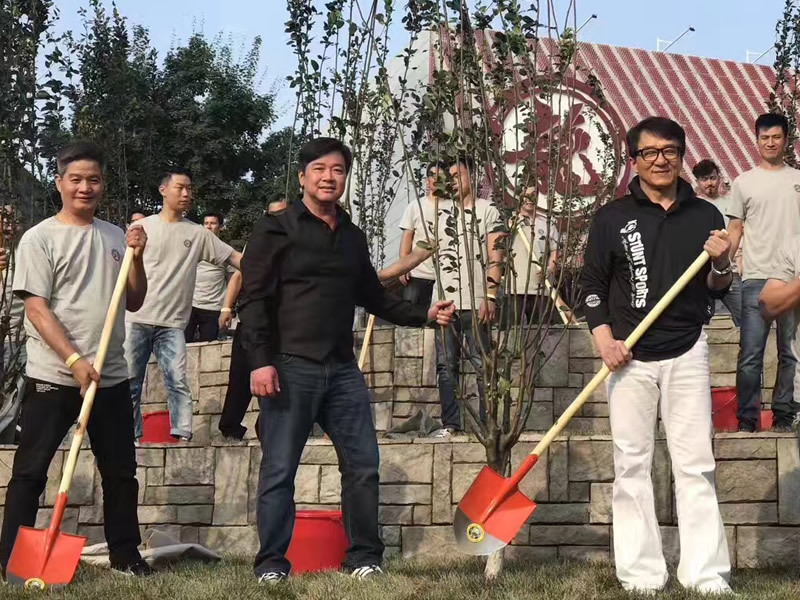 We had a tree-planting ceremony in the afternoon where each tree represented each generation of the JC Stunt Team. Today was not only a celebration of 40 years since the JC Stunt Team established, it was also a reunion of my brothers that I haven’t seen for so many years. I’m very grateful to see them again, and we talked about many great memories during dinner. By the time we all got back to Beijing, it was nearing 2:00am. Our next journey and big event was just around the corner. As soon as I got back to the hotel, I took a quick rest and prepared for my next trip to Shanghai. The JC Stunt Team 40th Anniversary was a great success, but it didn’t end there! 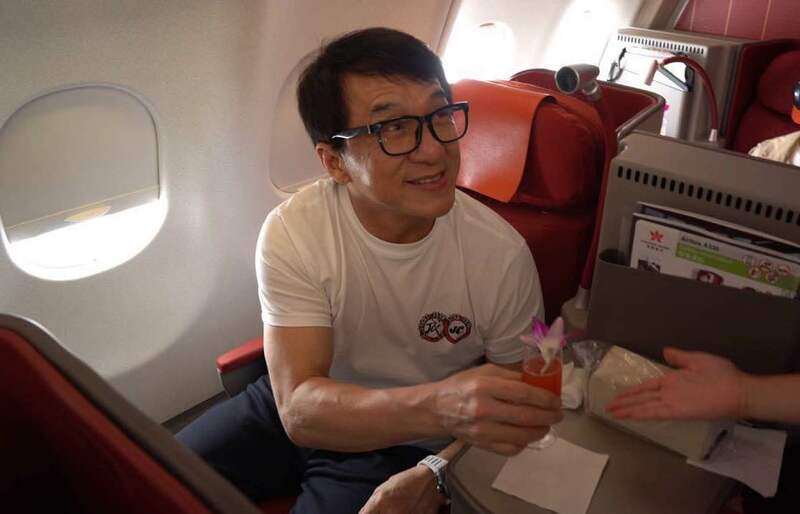 I didn’t get much rest when I got back to the hotel because I was excited for our next event, the Jackie Chan Action Movie Week Gala Evening in Shanghai. 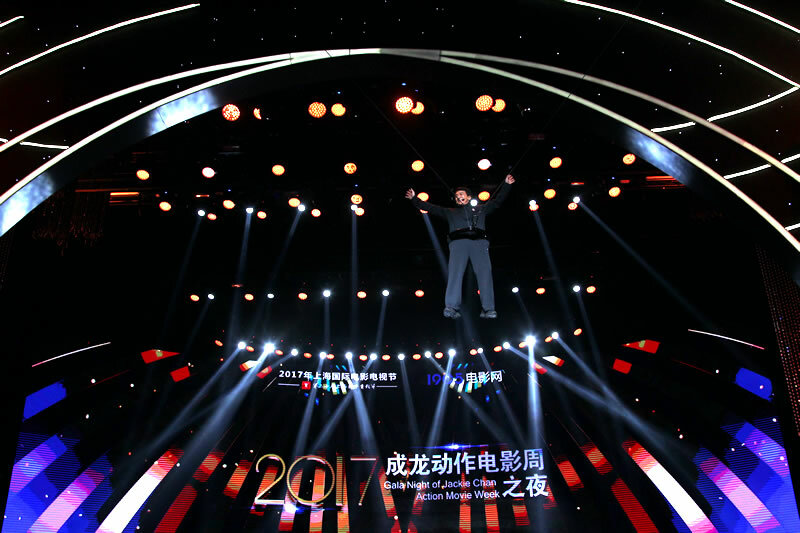 In the afternoon on June 21, I invited all my JC Stunt Team members to fly with me to Shanghai and attend the Gala Evening Ceremony. 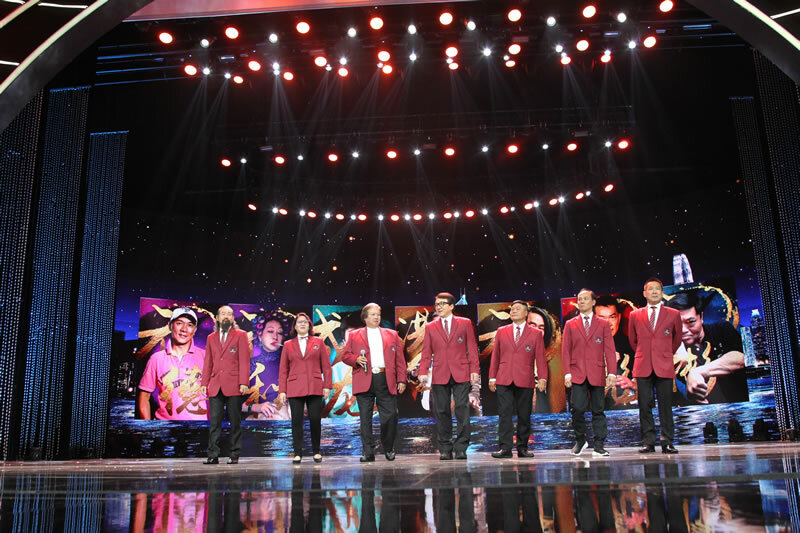 We arrived into Shanghai in the evening, just in time for dinner with my brothers and sisters from Seven Little Fortunes: Yuen Qiu, Yuen Kwai, Yuen Biu, Yuen Wah, Yuen Tak, Yuen Chu; and my friends Eric Tsang, Wu Jing, and Chris Tucker. Actually, there were about 250 of us having dinner together. It was a very lively and happy evening. Early morning the next day (on June 22), after taking a quick shower and getting dressed, I immediately headed to the Shanghai Oriental Arts Centre (SHOAC) for rehearsals. Everything went smoothly with my special welcoming entrance in the “Skywalker” (a specialised piece of stunt gear used for 360˚ unobstructed aerial rigging), choreographed so that I hung mid-air over front rows of the audience to give out lollies. I then rehearsed the ending songs, got the “ok” and rushed back to the hotel to prepare for the ceremony. 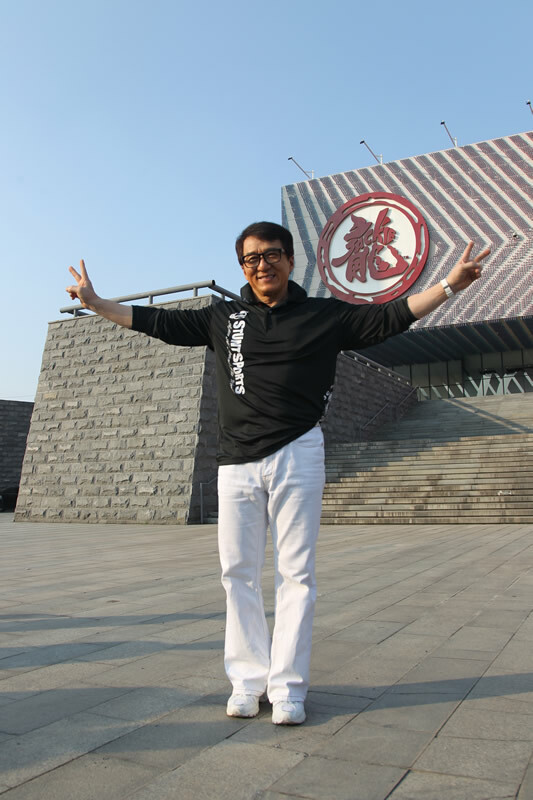 This year is the third year of the Jackie Chan Action Movie Week Gala Evening. It’s an awards ceremony honouring those who have made outstanding contributions to action movies on an international platform. Apart from the awards, I especially arranged a small re-union of our original Seven Little Fortunes. I showed an MV dedicated to my “Yuen Ka Ban” brothers and sisters, and we were all moved to tears with memories of our Sifu (master) Yu Jim-Yuen, our young faces when we were training in the Peking Opera School, and our performances as the Seven Little Fortunes. 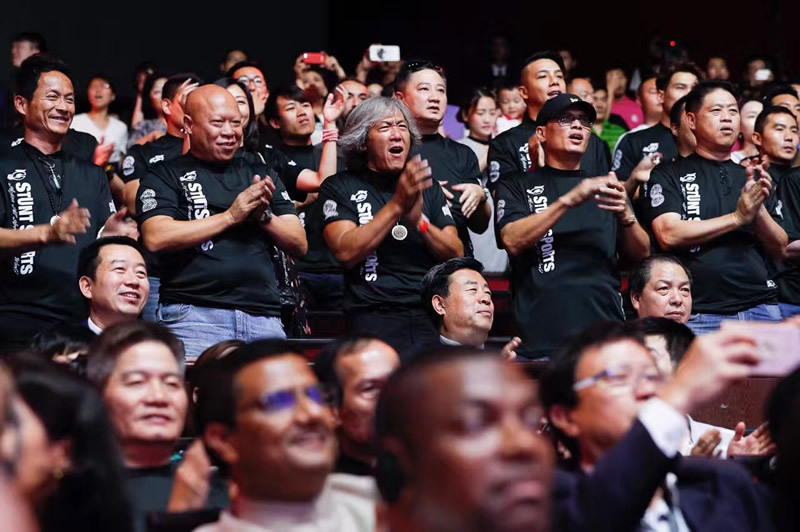 But the highlight of the evening was when we announced that the China Stuntmen Association was official established. Wow, what a moment to treasure. I saw everyone in the audience applauding with a standing ovation. But the most touching thing was seeing the reaction from my JC Stunt Team in the crowd and how excited they were. 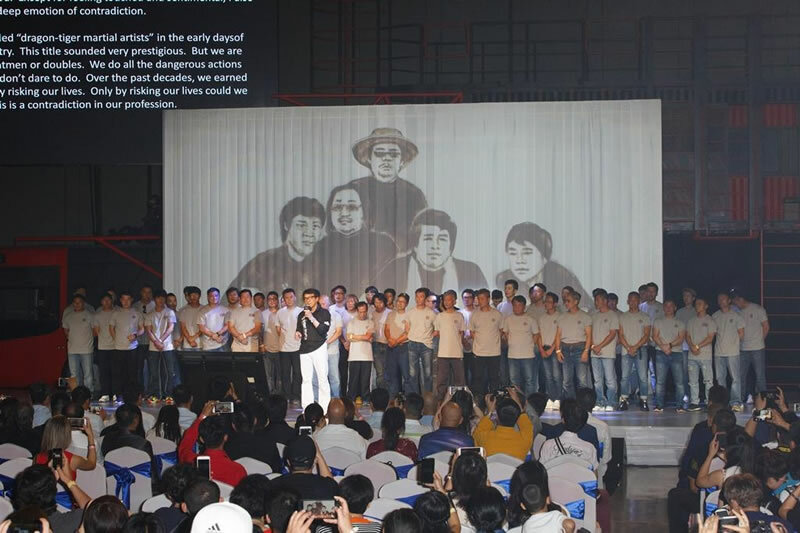 Lately, the China Stuntmen Association has been a hot topic within the stuntmen community with many saying that no one has taken notice or interest in the stuntmen field. Now, finally, they have a place where they can call home. I’d like to take this opportunity to say a special ‘thank you’ to directory Yuen Woo-Ping, big brother Sammo Hung Kam-Bo, director Tsui Hark, director Feng Xiao-Gang, good brother Eric Tsang Chi-Wai, and Chin Ka-Lok for being the vice-presidents of the China Stuntmen Association. 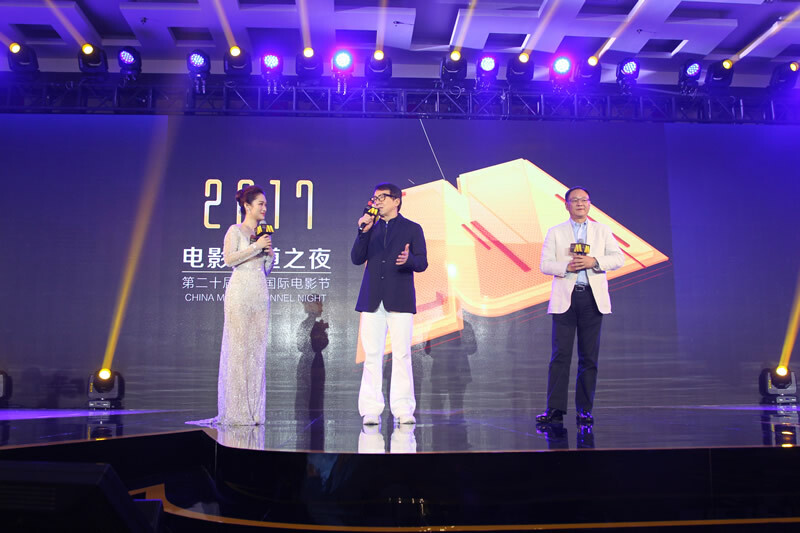 I’d also like to say a special thanks to all the guests and artists who attended the Action Movie Week Gala Ceremony, and the brilliant performances during the evening; a big thank you to all participating entrants, local and abroad, for your trust in the Jackie Chan Movie Action Week Gala Evening Awards; and also ‘thank you’ to every single staff member, production crew, and all the people working behind the scenes! Without your help, this moment in history couldn’t be so perfect. However, there was a flaw that didn’t go smoothly tonight and that was in my own performance. My welcoming entrance in the Skywalker didn’t work out as planned. No matter how smooth my rehearsals went, when it came to the real thing, my sleeve got caught in one of the buckles and I couldn’t get the sweets out of my pocket when I was suspended above the audience. Needless to say, I was very disappointed. Hopefully next year I’ll do something even better to make up for it! 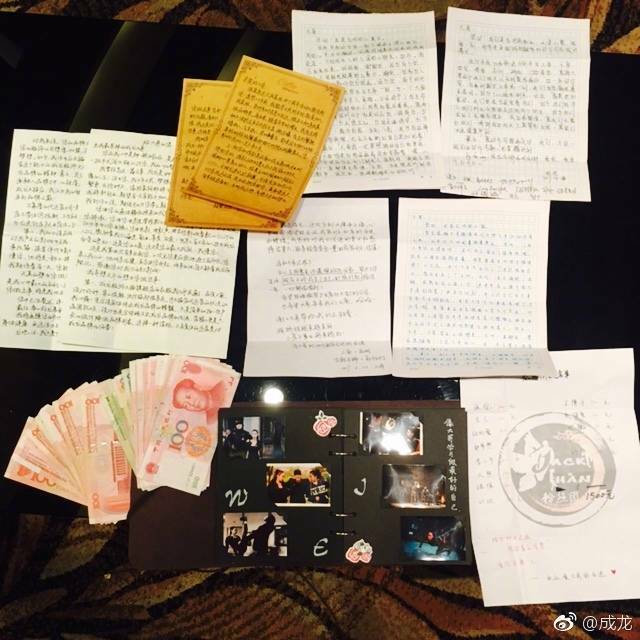 Last but not least, I’d like to say a special ‘thank you’ to all my fans for your gifts and donations, I’ve received them all and I’ve read all your letters. But because there are so many gifts, I can’t take pictures of them individually to share with everyone. However, your kind thoughts and well wishes in every gift has been stored in my heart. Thank you so much for your continuous support. Thank you, thank you! 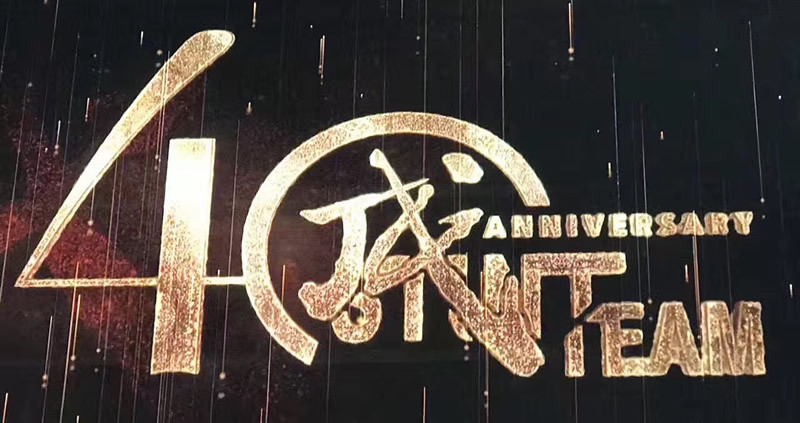 With two major events held one after the other, the 40th Anniversary of the JC Stunt Team and the Jackie Chan Action Movie Week Gala Awards Ceremony is finally finished. Honestly, I’m absolutely exhausted, but the joy and satisfaction gained from the success of these two meaningful events heavily out-weights the endless nights of hard work. It feels like a great accomplishment because preparations for these two events has taken us over a year. Did you know that this year is also the Seven Little Fortune’s 58th anniversary? Time flies so quickly, it’s been 58 years already. It’s been an emotional week, but very fun, enjoyable and satisfying. 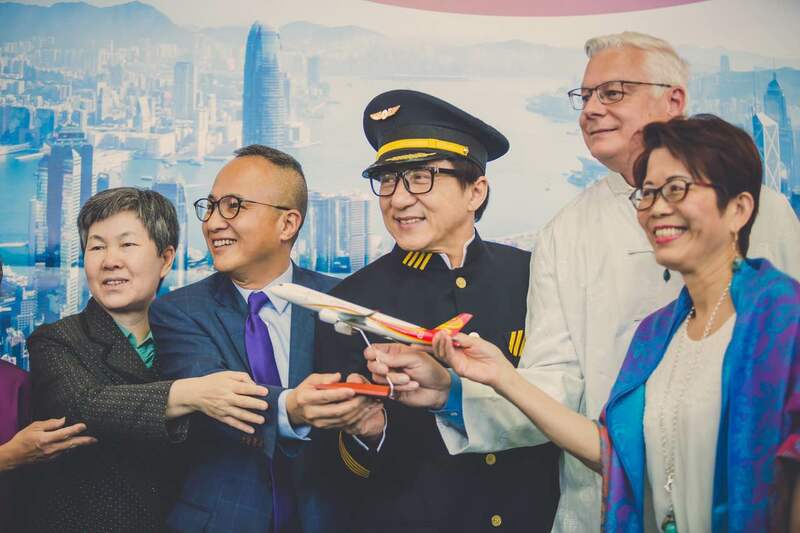 I didn’t have much time to catch my breath and I was off to my next destination as Hong Kong Airline’s Brand Ambassador on the inaugural flight to Vancouver. 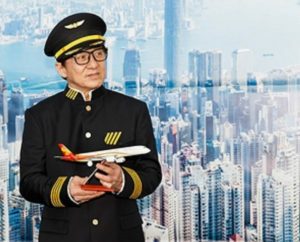 June 30 marked the first non-stop flight from Hong Kong to Vancouver for Hong Kong Airlines, and for the first time, I experienced doing an PA announcement as the captain; tasted a very unique cocktail called “Bauhinia Love” made by an experienced bartender who specially flew over from Canada; and drew the lucky draw winners for passengers on the inaugural flight. 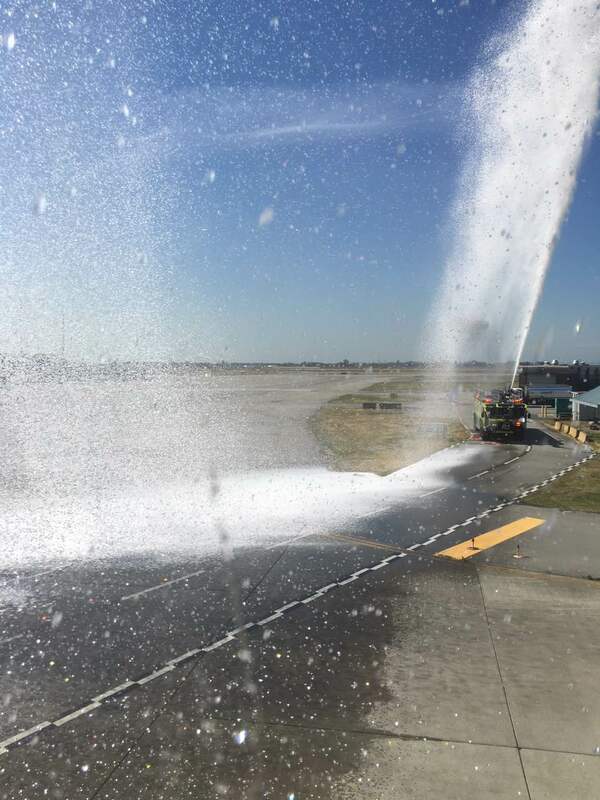 When we landed in Vancouver, our flight was welcomed by a water salute. 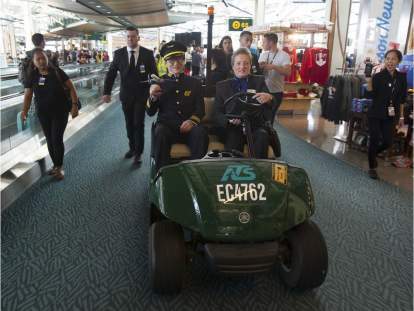 At Vancouver International Airport, I was greeted by airport officials and changed into a pilot’s uniform. Do you think I look smart? 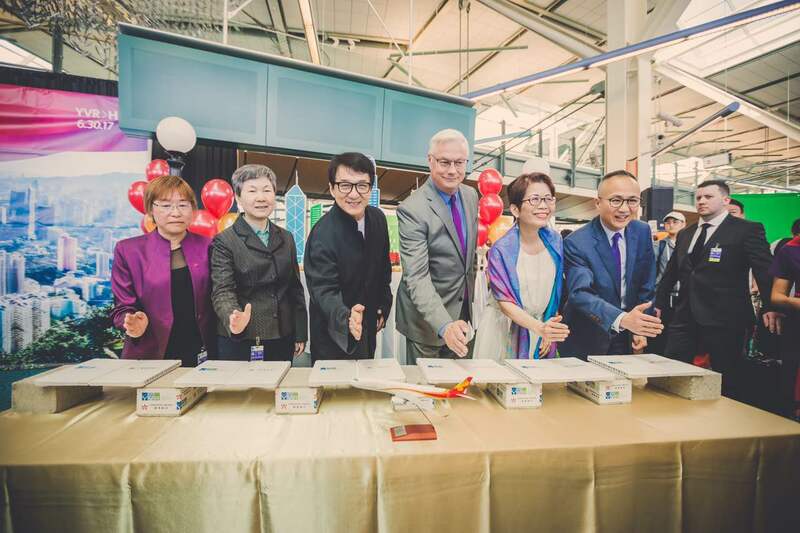 I’d like to take this opportunity to thank Hong Kong airlines for arranging such an amazing journey from Hong Kong to Vancouver. This year is the 20th anniversary of Hong Kong’s handover and I hope that more and more visitors from all over the world will come to Hong Kong for a holiday! I’m in the process of discussing the possibilities of using our positive influence in collaborating and opportunity to doing some charity work in the near future. I hope that we can help sponsor some poverty-stricken underprivileged children and giving them a chance to fly free somewhere around the world. I hope to give them a chance to see how big this world is! 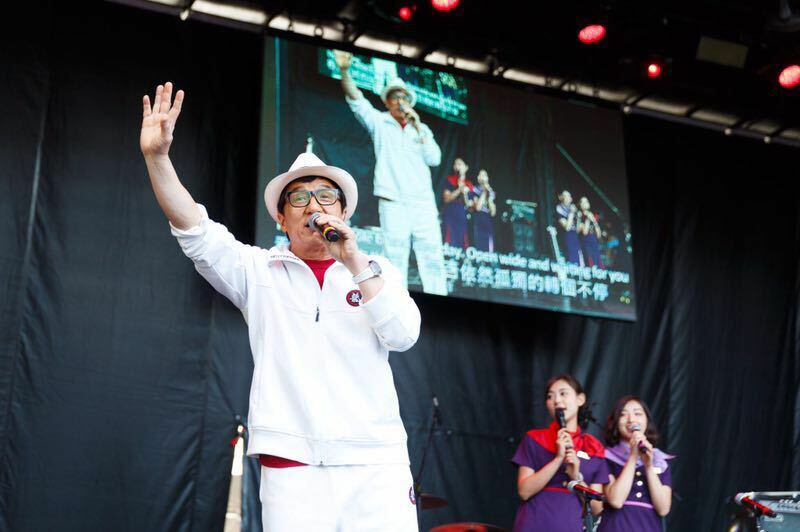 Today is Canada’s 150th Anniversary of Canada’s Day and I was invited to perform at their celebratory event in Vancouver. It’s hard to believe that the last time I was here was when I came to film “Rumble in the Bronx”, 24 years ago! This film was one of the first films that made me well known internationally, and one of the reasons why I consider Vancouver a lucky place for me. I know there are many Chinese immigrants from Hong Kong living here and I was very happy to see so many people in the crowd. A staff member told me that over 300,000 people turned out for this special day. 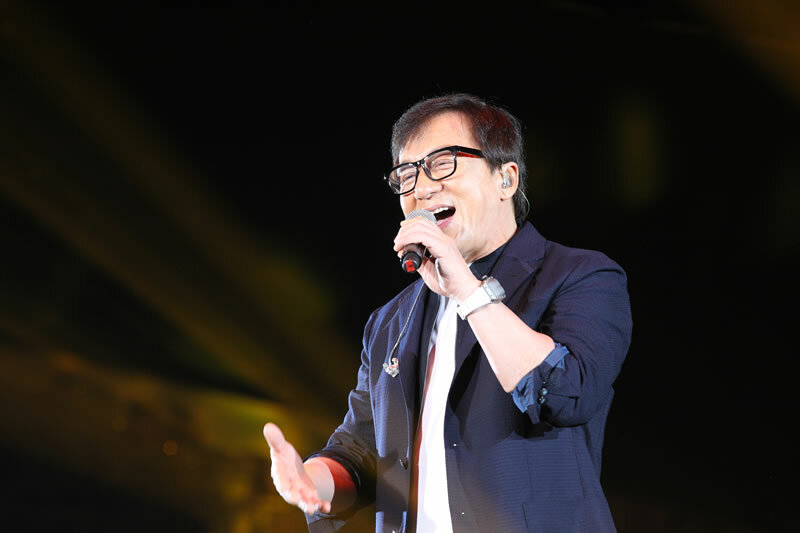 I performed on stage with the local children and we sang a medley of three songs: the first song was written by Jaycee, called ‘A Better World’; the second song was ‘A Better Tomorrow’; and the third song was ‘We are the World’. The three songs put together has a special meaning — ‘Give the World More Love and Peace’! After the celebrations, the Canadian Defence Minister came to greet me, and also told me he’s a great fan of mine! Hah hah! What a memorable day. I’d like to take this opportunity to say ‘thank you’ to the audience and all my fans in Canada for your warm welcome and enthusiasm! I hope to come again soon and maybe film a movie in Vancouver!